OMG ! Have you been using fake notes your entire life ? Check if your wallet still have fake notes. OMG! Have you been using fake notes your entire life ? Check if your wallet still have fake notes. 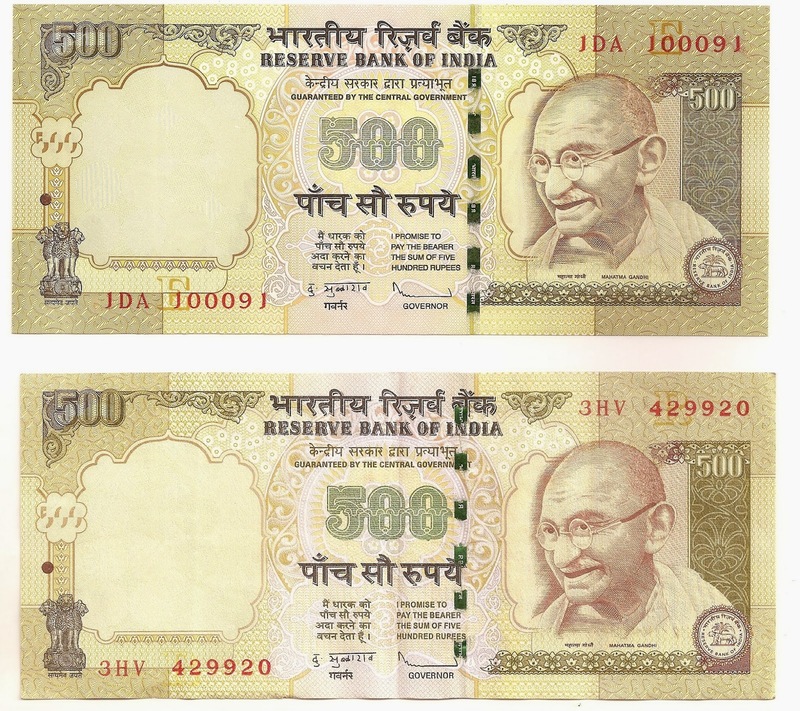 A Photo is viral on WhatsApp showing the difference of gap between Gandhi Ji’s photo and the embedded metal strip claiming the one which is nearer to Gandhi’s face is fake while the one which crosses through governor’s signature is genuine. 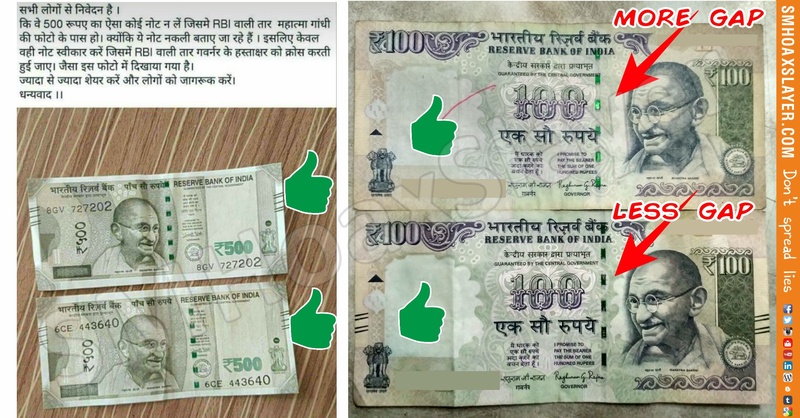 Well, if it’s true, you have always been using fake notes, even 10s and 100s too. Just take out your wallet, take out notes of same denomination and compare the placement of strip in them. On receipt of this query the first thing I did was take out 100s notes from wallet and compared them, our of 4, 2 had largest gap. Yes the 100 Rs. notes are mine in the photo above. This changes in placement of metal strip had always been there in Note making. ← Credit misplaced in a daring act. He was not CEO Mercedes. Congress Facebook page ad was sponsored in Pakistan too. October 19, 2018 Hoax Slayer Comments Off on Congress Facebook page ad was sponsored in Pakistan too. Who photoshopped Pranab Mukherjee ? June 8, 2018 Hoax Slayer Comments Off on Who photoshopped Pranab Mukherjee ?